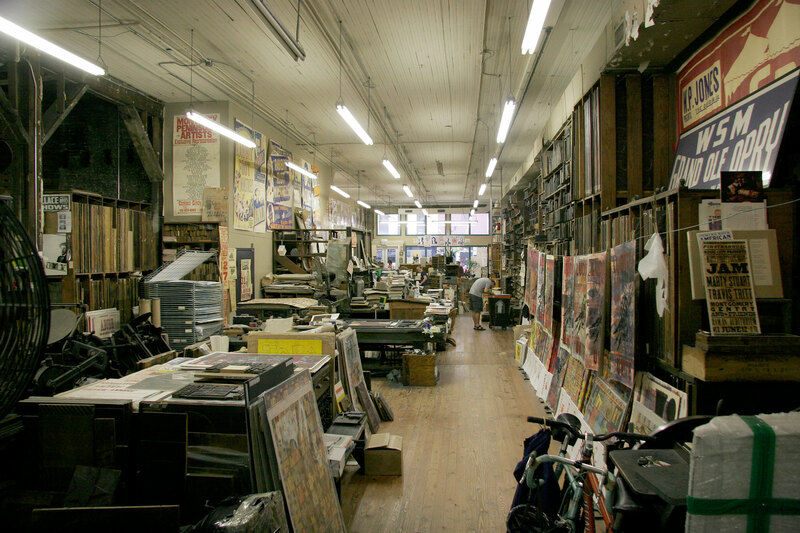 Founded in the late 1800’s, Nashville's Hatch Show Print is one of the oldest working letterpress shops in the country. 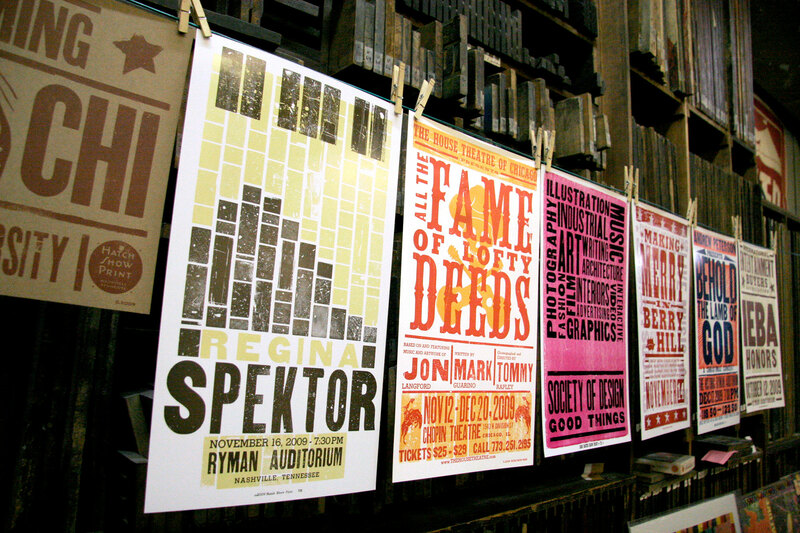 Their signature hand-set, wood block, typographic music posters have shaped the music, art, and culture of the American South. At Hatch, the printer is the designer, and the designer is the printer. In 2009, I had the privilege of learning and working with the wonderful people at Hatch. Hatch delivers an experience to their clients, and poster making is only part of that relationship. They deliver exactly what their clients want, but don’t reinvent the wheel each time. 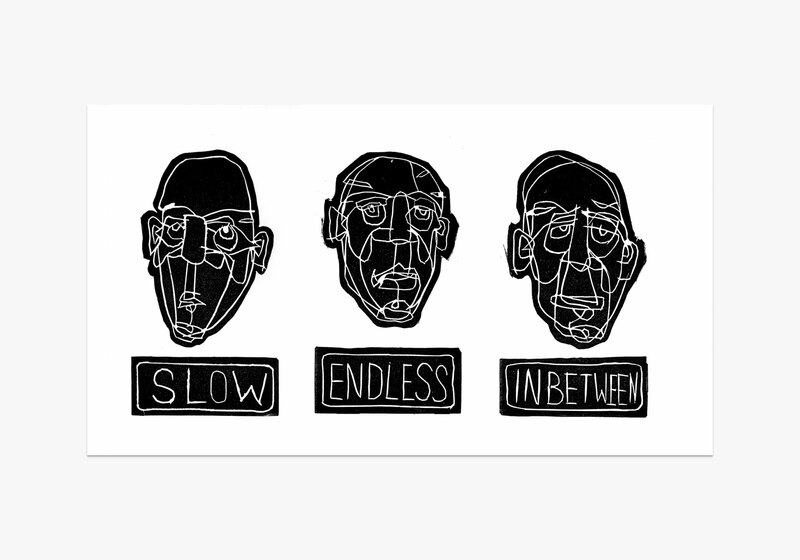 They are printmakers and designers running a business. They celebrate happy clients and proper typography hierarchy—not self expression or clever solutions. Their “Don't be clever” mindset has stayed with me as I’ve learned to build upon my own history, rather than starting from scratch with each project. There’s no better way to transition from printmaker to graphic designer than learning typography by manipulating each letter by hand. 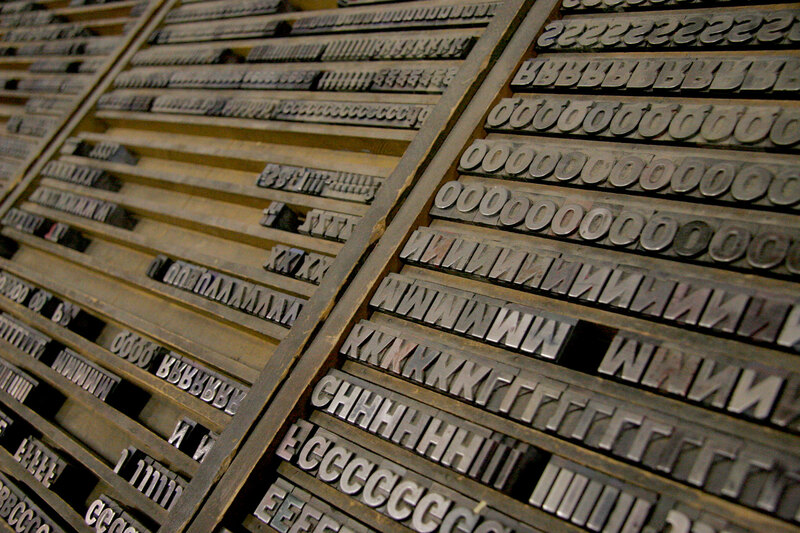 At Hatch, adjusting the kerning or leading meant a trip to the drawer for a wooden spacer and changing a typeface meant starting a lockup over from the beginning. 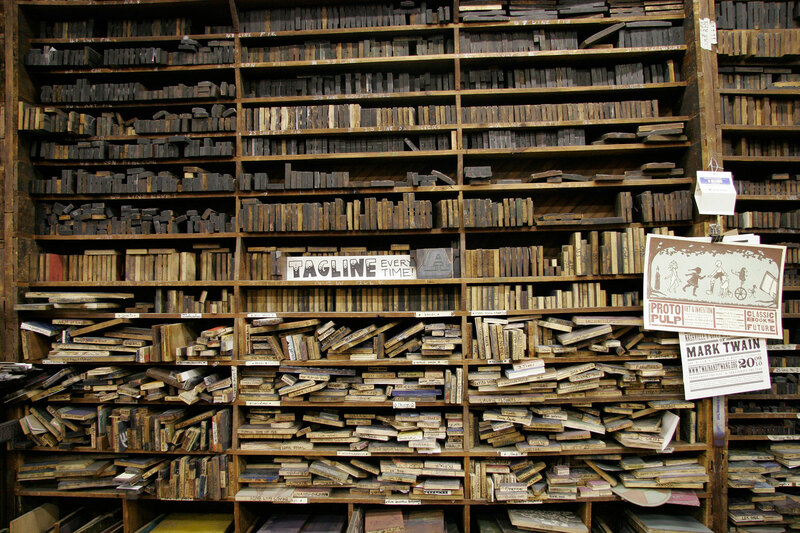 For three months, I lived and breathed the history and discipline of type, dreamt about picas, and soaked it all in at the country’s most well known print shop. I've never worked so hard in my life or met more generous people than I did at the shop. Even today, if I close my eyes, I can still smell the shop, hear the hand-cranked Vandercooks, and feel the floor boards under my feet. I designed and printed six different posters during my time at Hatch, each with a run of around 100-200 copies. 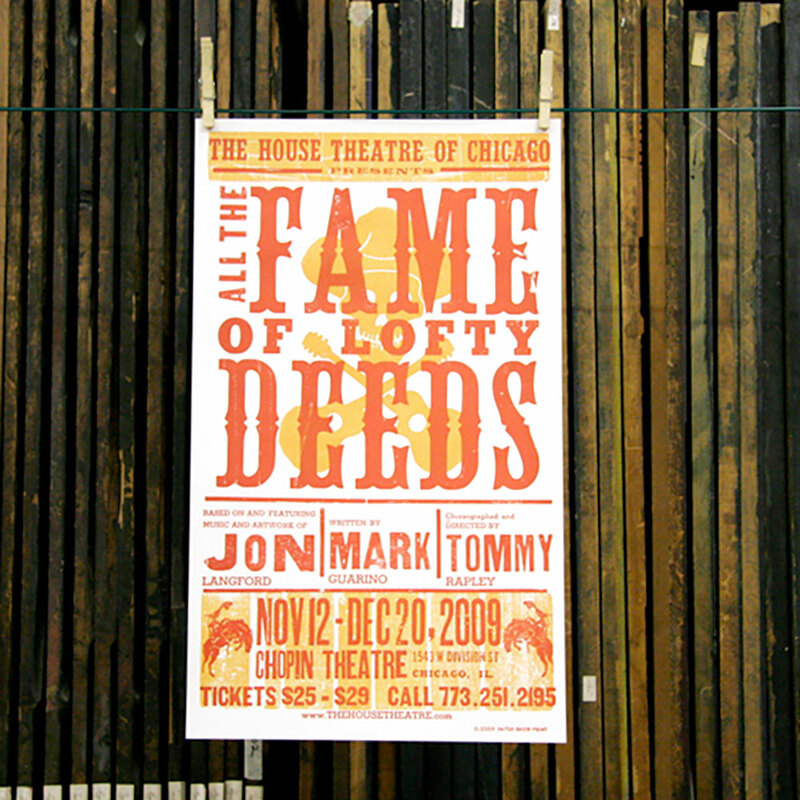 We worked directly with the clients to understand their needs, review proofs, and deliver the final poster series. 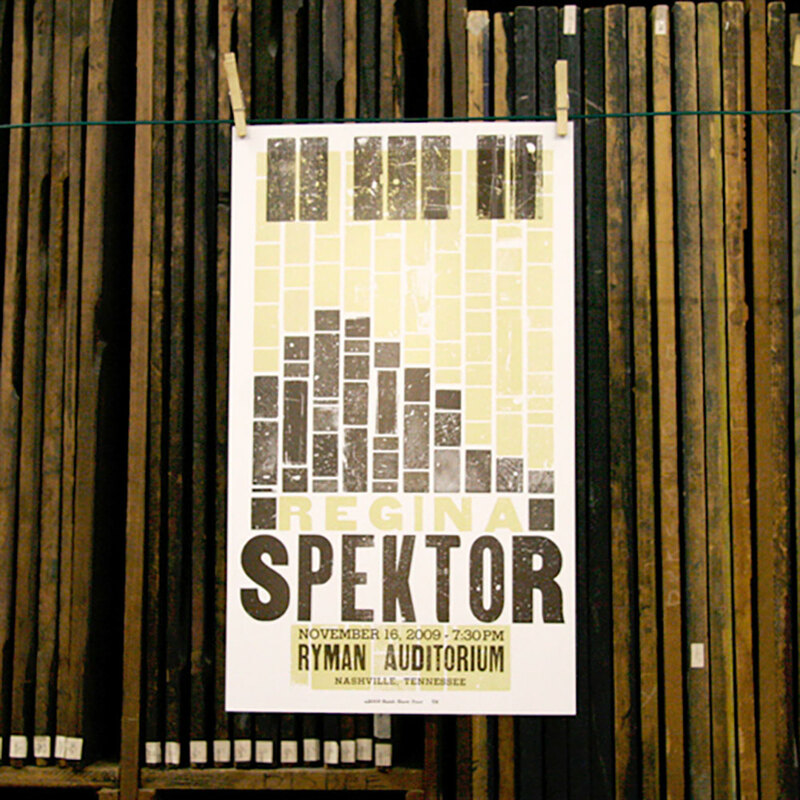 I worked with Regina Spektor's team for her show at the famous Ryman Auditorium. 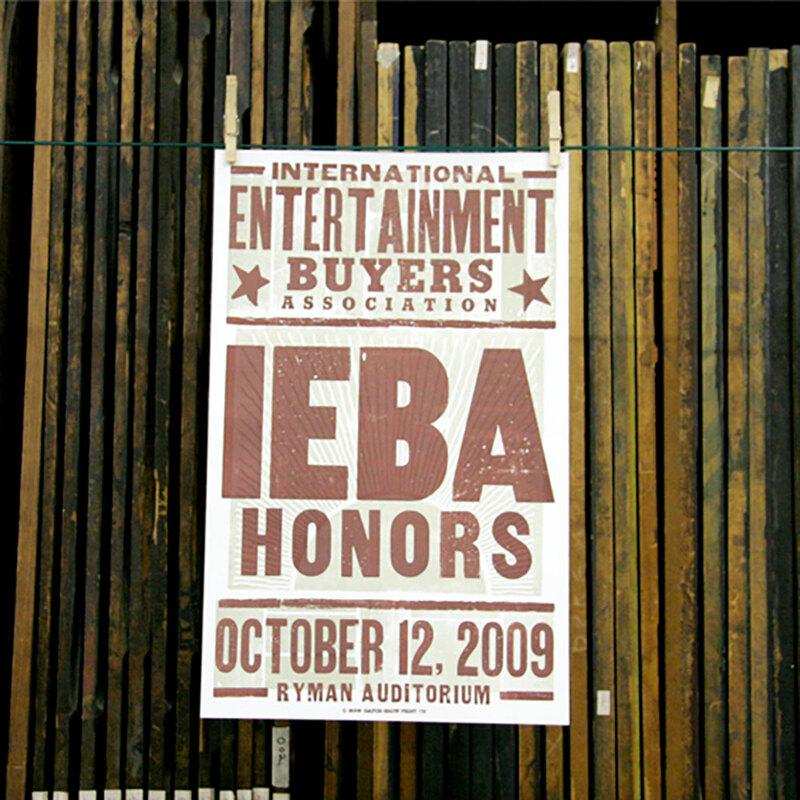 At Hatch we focused on the type, but I became obsessed with the wood-cut blocks that lined their walls. I spent my nights and weekends carving linoleum in my furniture-less apartment and when I showed up with some carved blocks, the fine folks at the shop allowed me to print a few. I knew my time with the presses would come to an end and I had to make some personal work. Sleep Less. 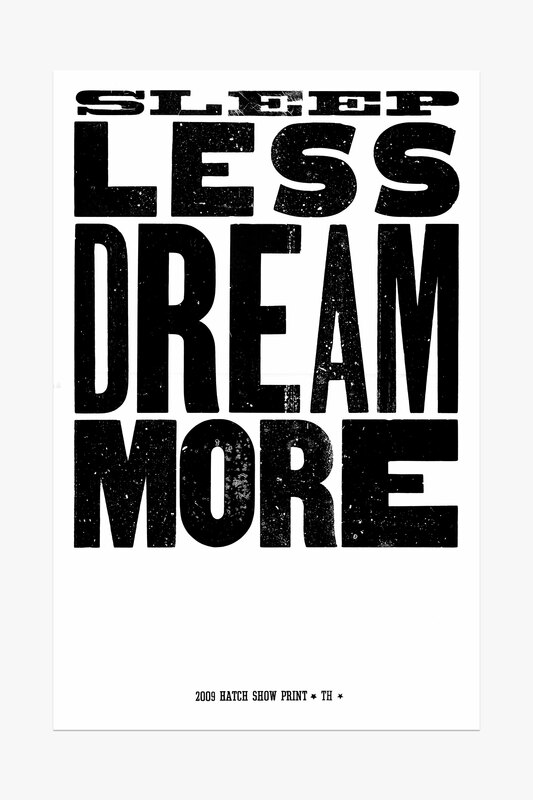 Dream More. This quote has been a guiding principle for me since my time in Nashville and this poster has hung on my wall in every apartment to follow. Hatch taught me important lessons about craft and the rewards of dedicating time to dive all-in to a new skill. Watch the video below to learn more about the history and beauty of Hatch Show Print. Check out Hatch Show Print's website.